Despite the inclement weather this month, our conservators shrugged off "snow days" and continued to devote their time on several major projects in the lab. We have been spending some quality time with a beautiful etching by Albrecht Durer--one of the finest artists of the Northern Renaissance. Through this delicate piece of work, we explore some of the challenges when it comes to paper conservation. Also this month, we highlight some of the artisan tools that our Antique and Fine Furniture conservators invented in order to help master their craft. Finally, we would like to invite you all to attend the opening for ALTEREGOS, The Conservation Center's first-ever staff art exhibition. The exhibition will be on view at Packer Schopf Gallery from February 20 to March 7. It should be a lovely affair. Keep warm this February! 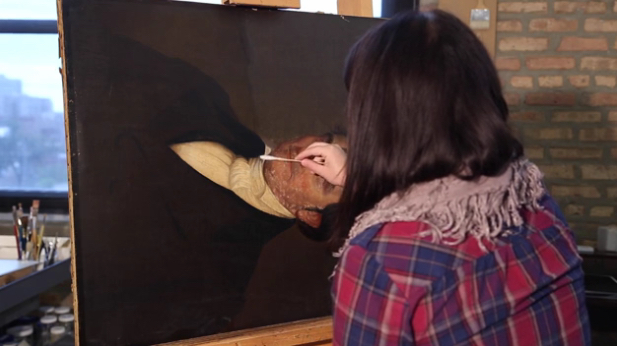 In the field of paper conservation, there are a myriad of challenges that one can encounter. Some of the biggest issues that arise when treating works of art on paper are the result of fragile media and temperamental fibers within the sheet. 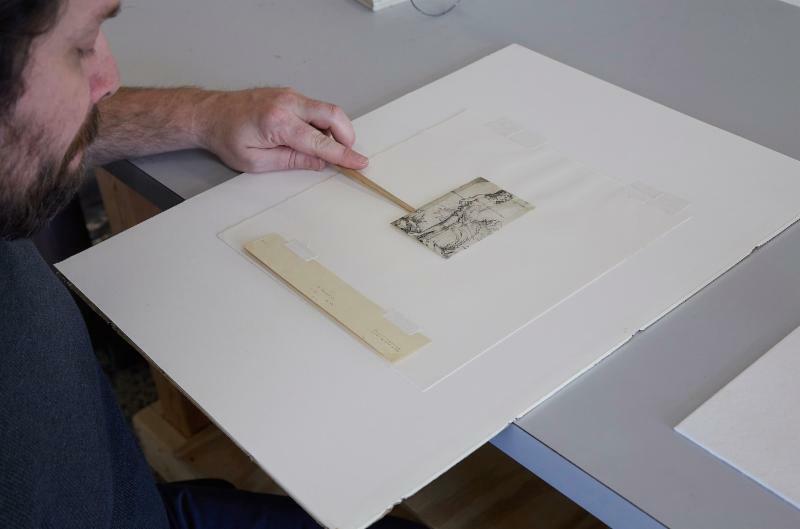 "Works on paper were intended for daily use and handling, and thus do not stand the test of time as well as other art forms that were meant to be admired from a distance," said Brian Kapernekas, The Conservation Center's Senior Paper Conservator. "Many of the conditions we encounter are not only related to age, but also to improper storage." Acid-free and archival housing materials are relatively new in the scope of framing practices. Most people do not even realize that acidic materials are usually the cause of the gradual deterioration of paper-until it is too late and the sheet is heavily yellowed, embrittled, and the damage is too severe to reverse. Woodworking shops through the centuries--from ancient Egypt all the way until the Industrial Revolution--have been, for the most part, relatively unchanged. Despite variations in readily available materials or slight alterations in technique passed on from master to master, the art of furniture making and conservation essentially revolves around a number of basic, yet important hand tools. Today, when the Antique and Fine Furniture Department at The Conservation Center in Chicago approaches repairs of dated objects, the conservators--Stephen Ryan, Michael Young, and Andrew Rigsby--strive to preserve the integrity of the original craftsmanship that has been passed down for generations. The Conservation Center is pleased to announce the opening of its first staff art exhibition. 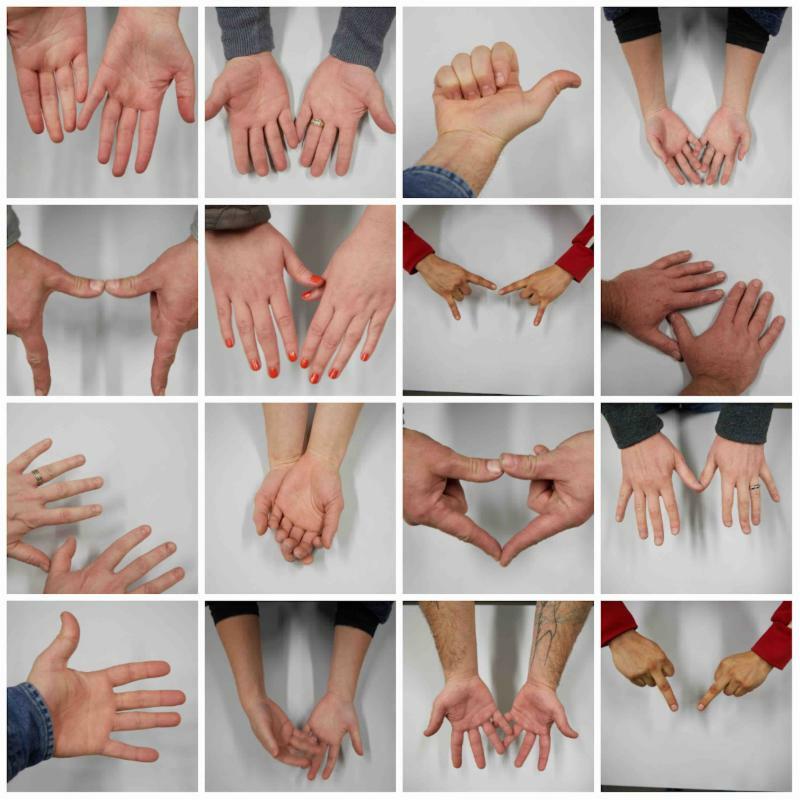 Entitled ALTEREGOS, this assembly of work in a broad range of media is the first officially sponsored staff showing in The Center's 30-plus-year history. ALTEREGOS will be on view for two weeks at Packer Schopf Gallery, from February 20 through March 7, 2015. "We are so grateful to Aron Packer, who offered to host our first employee exhibition at his space," said Heather Becker, CEO of The Conservation Center. "I'm also extremely proud of our diverse group of talented artists who happen to be staff members of The Center." The public is cordially invited to attend the opening reception. Please e-mail to RSVP: rsvp@theconservationcenter.com. Did you spot us in Chicago magazine this month? Art critic and culture reporter Jason Foumberg spent a couple of days at The Center's labs, learning about our conservators and their fascinating projects. The result is seen in the February 2015 edition of the popular, "in the know" publication. 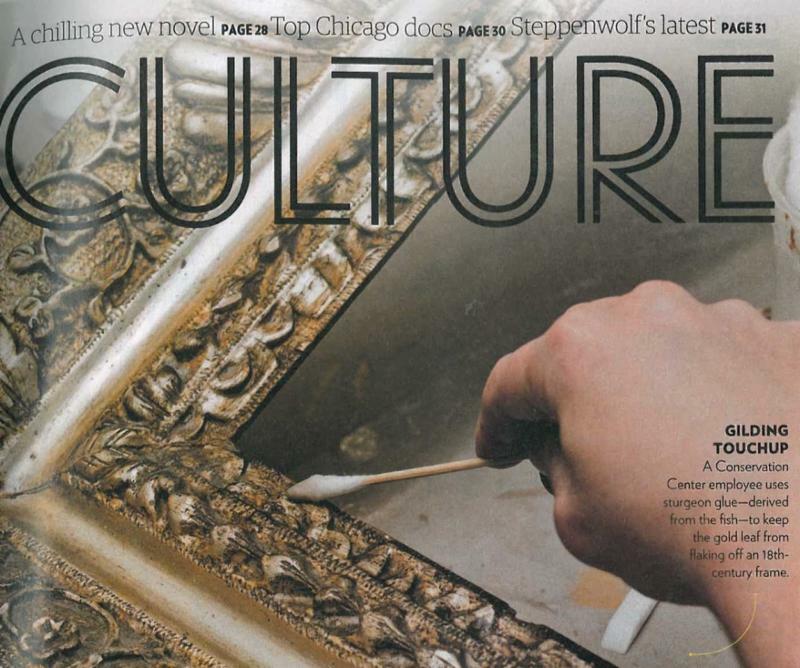 We are thrilled to be featured--especially as the Culture section's lead story of the month! The Conservation Center looks forward to the opportunity to assist private individuals or institutions with fine art and/or heirloom preservation. We welcome any projects, large or small. 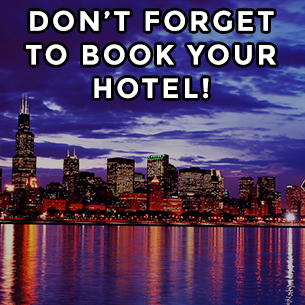 For questions and bookings, please contact our Client Services team: 312.944.5401 or info@theconservationcenter.com. Follow The Conservation Center on Instagram! Watch videos about The Conservation Center on our Vimeo channel! What: Hollywood on State: A Red Carpet Celebration, Chicago’s longest-running awards show viewing party. 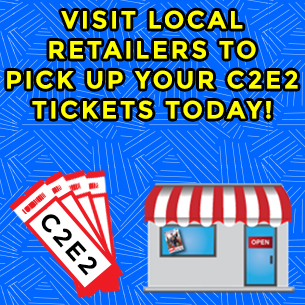 Attendees will enjoy gourmet food from Jewell Events Catering, Eli’s Cheesecake, Sugarbliss, Pure Kitchen Catering, and libations from Guinness Blonde and Bow Truss Coffee Roasters, while watching the Academy Awards® on the big screen. For the second year in a row, Gene Siskel Film Center is proud to recognize Chicago filmmakers. This year’s filmmakers are: Bob Hercules, Frank Ross, Daniel Nearing, and Seth McClellan. When: Sunday, February 22. Doors open at 6:00 p.m. The 87th Academy Awards® HD Telecast begins at 7:30 p.m. 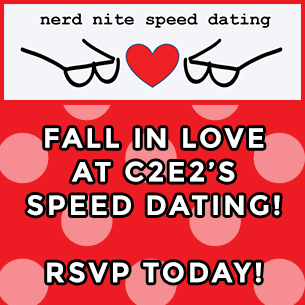 Note: This event is not sponsored by or affiliated with the Academy of Motion Picture Arts and Sciences. Academy Award® Nominee for Best Animated Feature! Academy Award® Nominee for Best Adapted Screenplay! So what does America’s most unpredictable auteur (Paul Thomas Anderson) do for an encore after the monumental diptych of THERE WILL BE BLOOD and THE MASTER? He goes loose, mellow, far-out, and funny, with a gloriously overstuffed stoner detective thriller, adapted from the novel by previously un-adaptable Thomas Pynchon. Presented in the director’s preferred format of 35mm celluloid, essential to the film’s funky vibe and hot, hazy colors. All screenings take place at the Gene Siskel Film Center of the School of the Art Institute of Chicago, located at 164 N. State Street. Discounted parking is available for $18 at the InterPark SELF-PARK at 20 E. Randolph St. A rebate ticket can be obtained from the Film Center Box Office. The Film Center is located near CTA trains and buses. Nearest CTA L stations are Lake (Red line); State/Lake (Brown, Green, Orange, Pink, Purple lines); and Washington (Blue line). CTA bus lines serving State St.: 2, 6, 10, 29, 36, 62, 144, and 146. Hollywood comes to Chicago at the annual Red Carpet Party hosted by Juvenile Diabetes Research Foundation (JDRF) Illinois Young Leadership Committee and Municipal Bar + Dinning Company, 216 W Ohio. On Sunday, February 22 at 6 p.m., Municipal will roll out the red carpet for Chicago A-listers to celebrate the film industry’s biggest night in entertainment. The festivities will be led by Ashley Pettit, healthy living expert and media personality. Screens throughout the event will broadcast all of the red carpet coverage and award ceremony action while a DJ will be spinning during commercial breaks. Partygoers will bid on exciting silent auction items to benefit JDRF, while enjoying dinner-by-the-bite and sipping on movie themed cocktails. Juvenile Diabetes Research Foundation (JDRF) is the leading global organization funding type 1 diabetes (T1D) research. JDRF’s goal is to progressively remove the impact of T1D from people’s lives until we achieve a world without the disease. JDRF collaborates with a wide spectrum of partners and is the only organization with the scientific resources, regulatory influence, and a working plan to better treat, prevent, and eventually cure T1D. As the largest charitable supporter of T1D research, JDRF is currently sponsoring $568 million in scientific research in 17 countries. In 2012 Forbes magazine named JDRF one of its five All-Star charities, citing the organization’s efficiency and effectiveness. For more information, please visit jdrf.org. Located in River North, Municipal Bar + Dining Company is an upscale sports bar and industrial gastro-pub serving specialty entrees, gourmet burgers, robust seasonal salads, and an assortment of side dishes and appetizers. Municipal is open for dinner Monday through Thursday beginning at 4 p.m., for lunch on Fridays beginning at 11 a.m., and brunch on Saturday and Sunday beginning at 11 a.m. late night dining is available seven days a week. 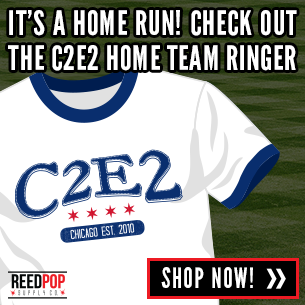 © 2015 Chicago Comic & Entertainment Expo. All Rights Reserved.